Discovering new places and ideas has been one of my personal passions. More recently, it meant taking a road trip up North to explore the beauty of Maine. As we navigated through the forests of color and sailed around the rocky coastline, our sense of adventure and curiosity increased with each step. Levi’s new campaign, the Modern Frontier, encourages living on the edge and becoming a seeker of the world. Their collection has always complemented that kind of lifestyle. The new clothing range features amazing rich colors, prints and texture. In collaboration with Levi’s and Vogue, I styled this skirt from the new Herringbone collection. 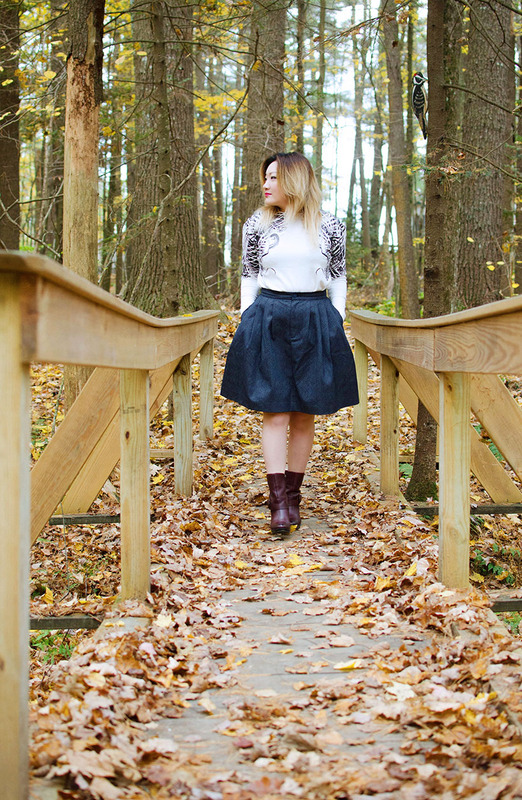 When I was shopping the store, I immediately fell in love with the wool denim blend full skirt. The deep blue hue and the charming print caught my eye. 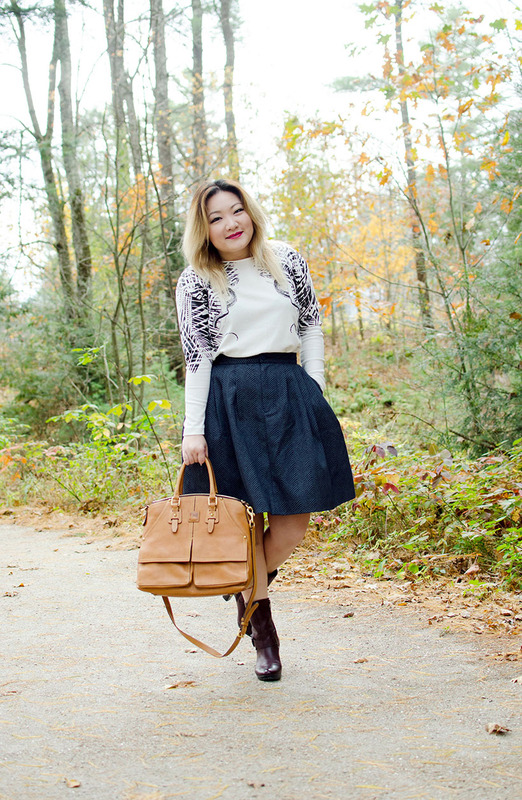 I paired it with earthy autumnal-colored accessories and a high-contrast graphic print sweatshirt. The heavier fabric was the perfect companion for a day roaming in Maine’s chillier climate. P. S. There’s a matching moto jacket that would complete my Fall wardrobe.